New Toy, New Hobby: Magic Bullet. I can finally make my own Mango Smoothie without paying a high price. 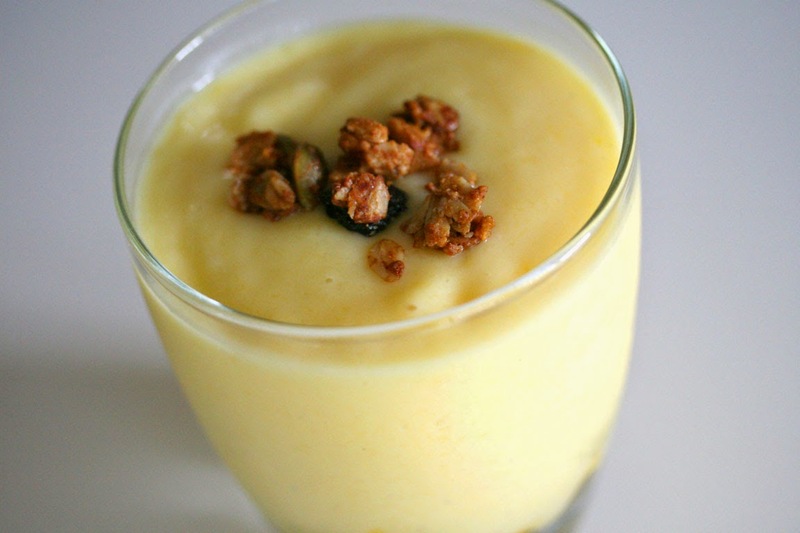 Mango Smoothie is easy to make, and it's retail quality. Recipe below. I think I can replace fresh mango with frozen mango, since I am so used to the Jamba Juice frozen texture. 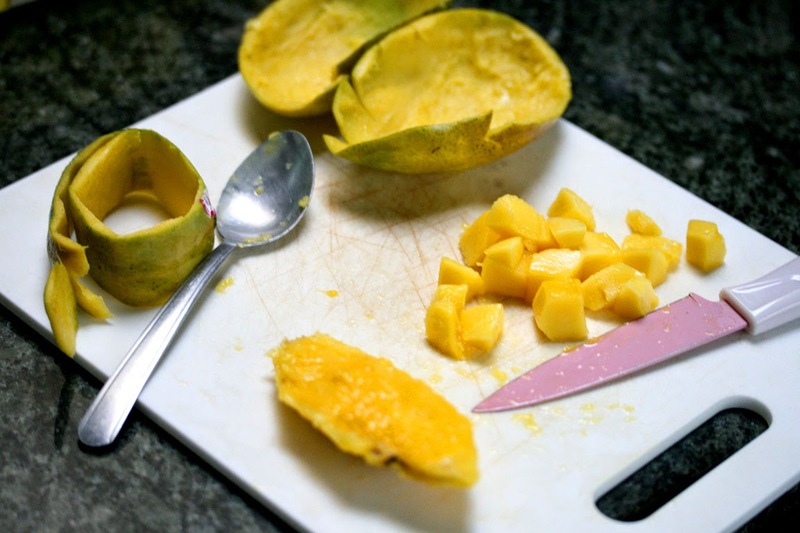 Fresh mango maybe too pulpy for smoothie. Can add alcohol to make it a cocktail drink too. Directions: Put a handful of diced mango aside to make the smoothie chunky. 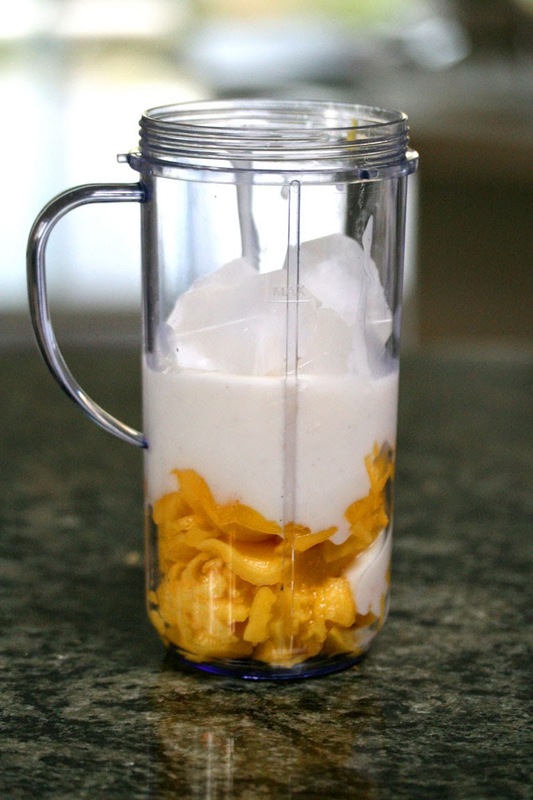 Just blend everything else together and pour it with the mango chunks into a cup. Garnish with Granola (or more commonly, garnish with Mint Leaves). Enjoy.